Vancouver, B.C. 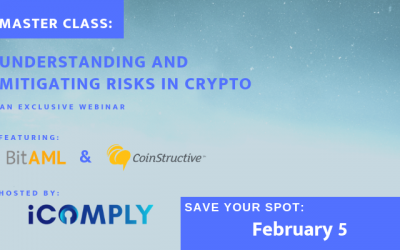 – February 26, 2019 – iComply Investor Services (“iComply”), a regulatory technology firm offering software that automates global compliance requirements for digital assets, is announcing that it will be releasing integrations for Hedera Hashgraph, a public, distributed ledger platform. This will include integrations for both iComply’s Prefacto trade management protocol and iComplyKYC product. These integrations will make it easy for developers to implement banking-grade governance, risk, and compliance programs globally. This will also enable financial institutions to adopt and benefit from decentralization. Hedera Hashgraph is a public distributed ledger for building decentralized applications that is recognized for being fast and secure. “Hedera’s speed and security make it a powerful tool for use in global capital markets. Even with scaling layers, Ethereum’s current speed of 15 transactions per second cannot handle public market transaction volumes,” said Matthew Unger, CEO of iComply. According to 2017 World Bank data, the U.S. capital markets alone perform 40 billion daily transactions, requiring over 230 billion compliance recordings each day. 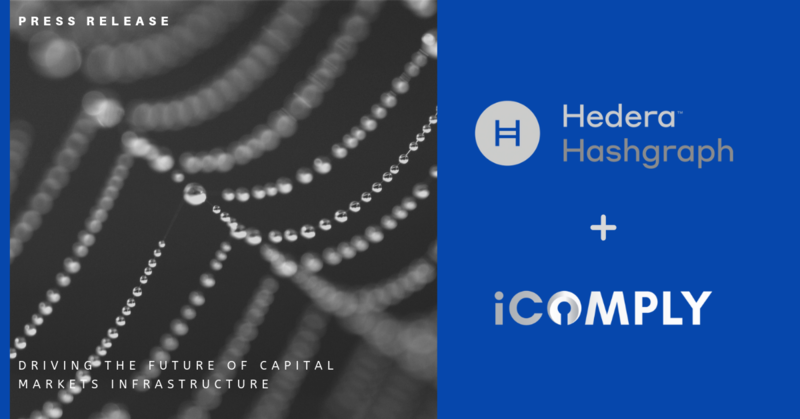 Anyone issuing digital securities – including hedge funds, securities exchanges, and financial institutions – using Hedera Hashgraph and iComply will benefit from iComply’s banking-grade compliance, risk, and intelligence tools paired with Hedera’s security and speed. iComply’s award-winning products enable investor onboarding in seconds, while ensuring adherence to local regulatory standards with its robust, global KYC and BSA solution. Securities issuers, dealers, and fund managers can automatically populate, track, and account for every investor, document, and transaction for the life of a client, reducing human error and costs by up to 98%. 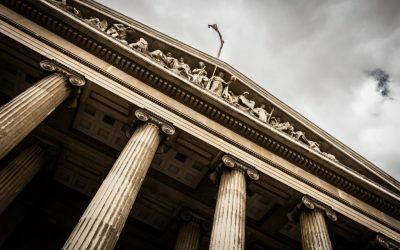 iComply is the trusted compliance partner for asset tokenization and securitization to 64 leading legal, accounting, and advisory firms spanning 84 countries.